Eurodollar is still moving inside consolidation channel of the first ascending structure. 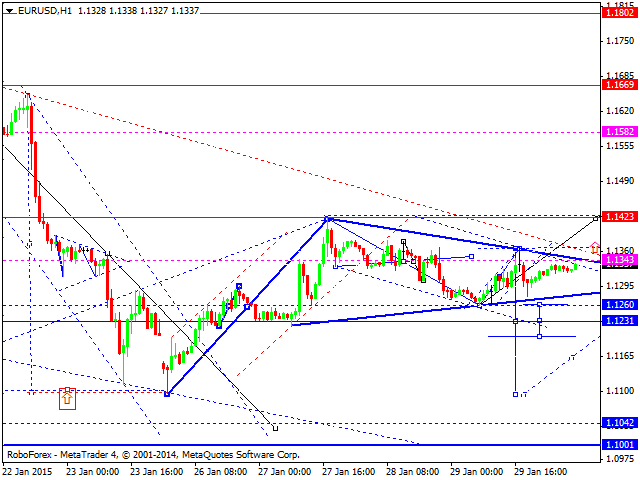 According to the main scenario, the pair may continue falling inside the downtrend to reach level of 1.1100. An alternative scenario implies that the price may break this channel upwards and continue growing towards level of 1.1580. Pound has fallen, reached the target of its correction, and right now is moving upwards. 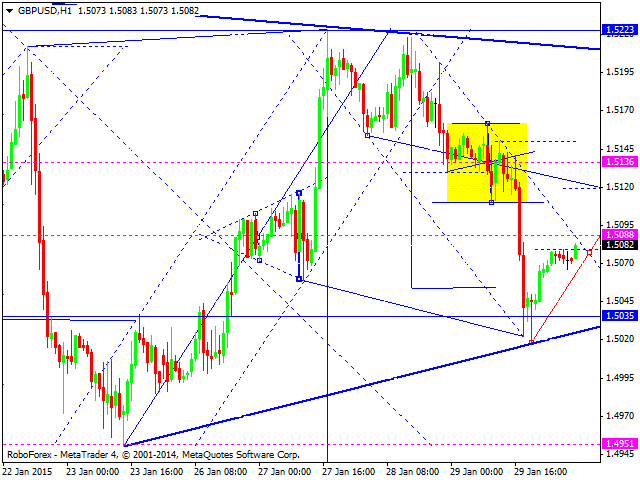 We think, today the price may reach level of 1.5136 to test it from below. 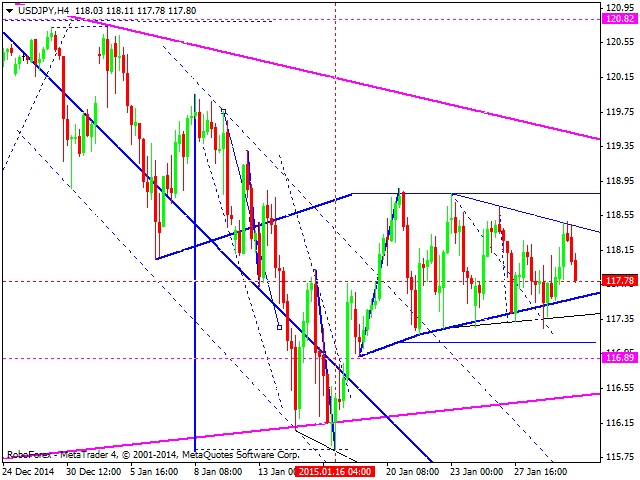 Thus, the pair is forming a wide consolidation channel in the form of triangle. 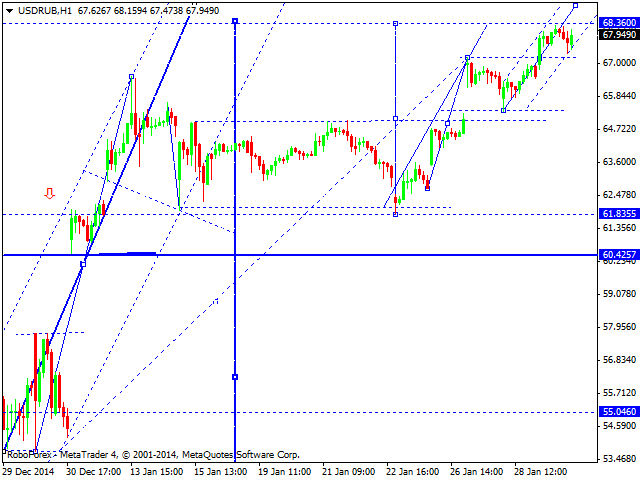 If the market breaks the pattern upwards, it ay continue growing; if downwards – the downtrend will continue. Franc has reached its local upside target. We think, today the price may fall to reach level of 0.8890 and then form another ascending wave towards level of 0.9300. Later, in our opinion, the market may continue moving inside the downtrend. Yen is still inside triangle and can’t decide which direction to move. We think, today the price may continue falling. Such long consolidation may result in a fast descending movement, which may start at any moment. The local target is at level of 115.00. 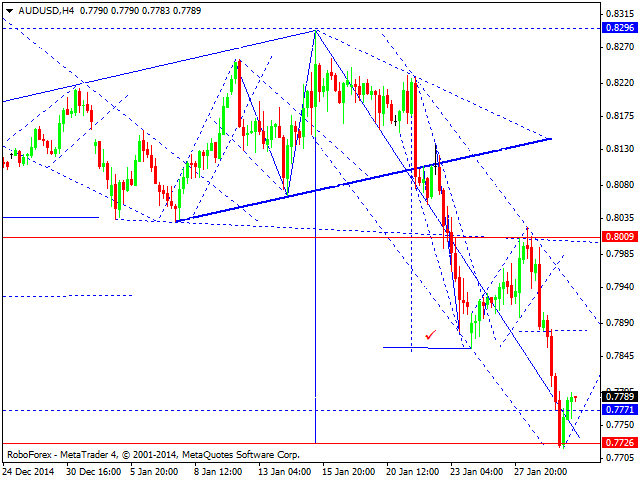 At the H4 chart, Australian Dollar has finished another descending structure; the pair has also formed an ascending impulse, which may continue to return top level of 0.8000 once again. During the formation of this wave, we’ll estimate if the pair may form a higher ascending correction. Influenced by the negative fundamental background, Ruble is expanding its trading range upwards, but this ascending movement is slowed down by the regulator. 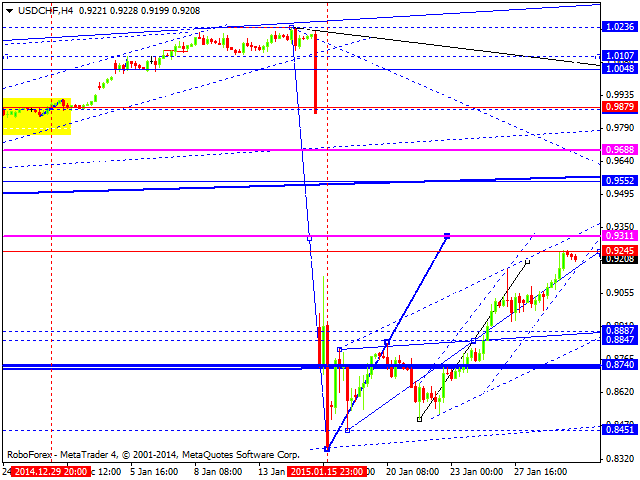 The pair is unlikely to pass level of 69.00 or to make any fast movements; it is more expected to consolidate. Possibly, the Ruble may even start to strengthen inside the first descending wave of the downtrend with the target at level of 55.00. 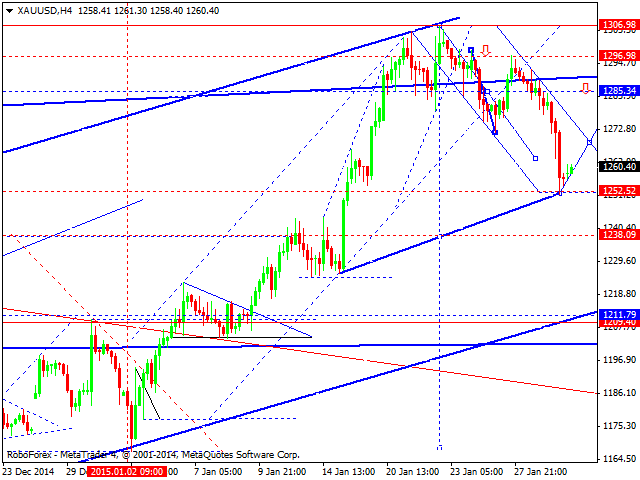 Gold has finished the first descending wave and reach its target. We think, today the price may form an ascending correction towards level of 1285. After that, the market may continue moving downwards to reach level of 1210.